Hannah’s dad connected with us and told us about his 17 year old daughter, Hannah, who is fighting mg and has some hair loss. We are told she loves tabby cats, so we went off searching for the perfect yarn that would scream tabby cat. We found a perfect Homespun variegated yarn and began the hats. 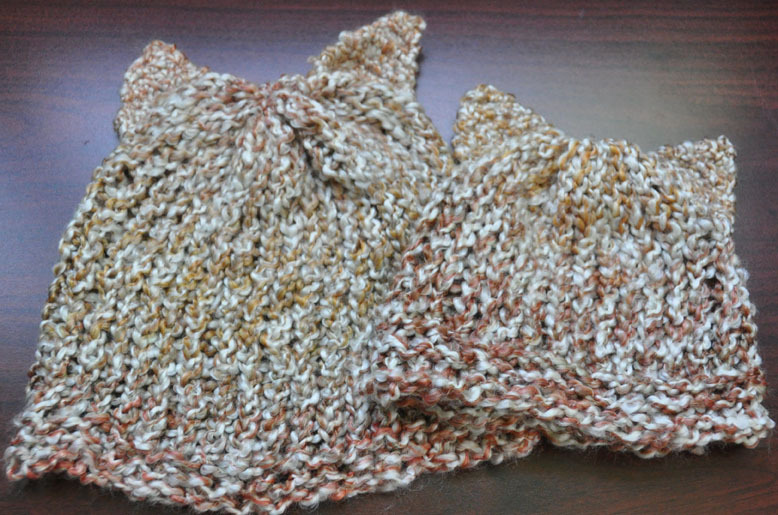 Hannah and Hammy are currently in the hospital and wearing the tabby cat hats we made for them to keep them warm and cozy. 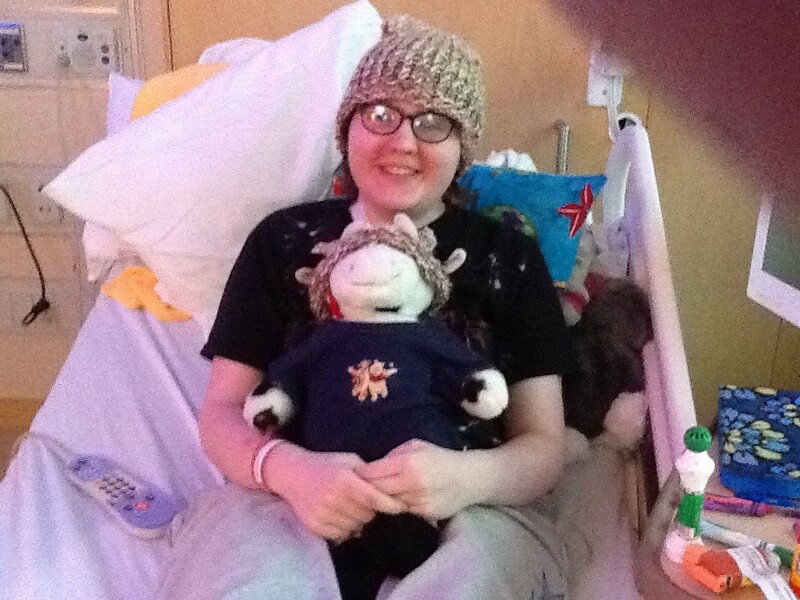 We hope your stay is quick and recovery is quicker, Hannah. Thank you for the sweet picture. We hope that the hats bring you comfort and hope.